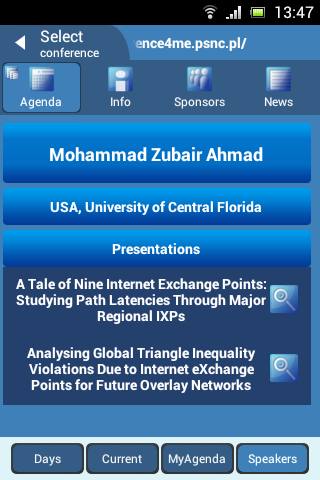 New release of Conference4me (1.53) is available for download on Google Play. CyberaSummit 2012 is taking place in Banff. 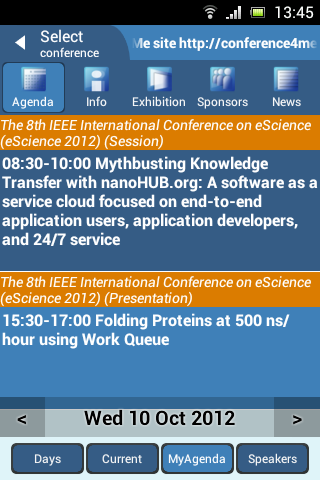 Conference participants can download a mobile agenda for iOS or Android device. Click here to download Conference4me and enjoy your new mobile conference assistant!